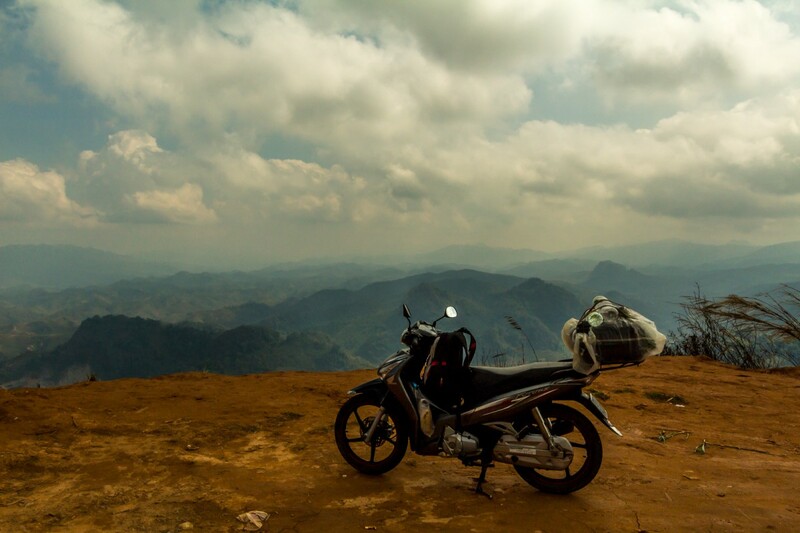 Vietnam To Laos Day 15: Up, Up, And Up! Today I would be going out of my way on a side trip to the Plain of Jars. I hate having to backtrack, but I’ve wanted to see this for a long time, and now would probably be my only chance. I had a pretty long 260 km ride and I wanted to get going early. But I was in Luang Prabang, so I insisted on having breakfast and a nice cup of coffee before hitting the road. As I’ve mentioned before, Laos, at least in the North, does not have a lot of roads. That’s because the terrain is so mountainous. The few roads twist and turn their way along valleys, with no side roads leading off of them. 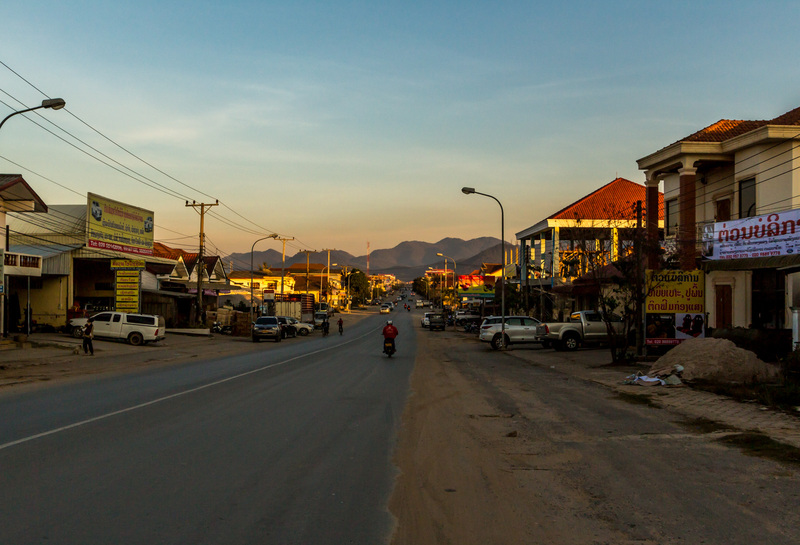 My route would take me along Highway 13, the main road to the the capitol city of Vientiane. Like most of the roads through the mountains, it was built by the French. As I rode, I marveled that this was the main road to the capitol. 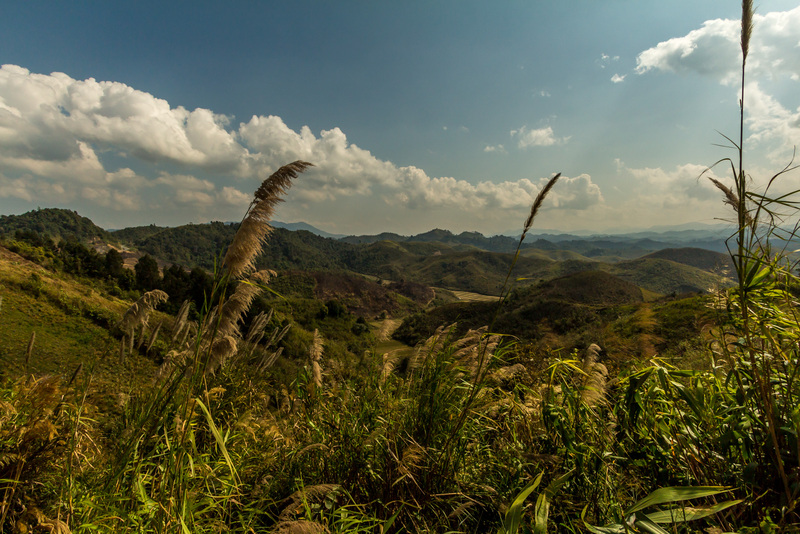 It was a narrow, winding mountain road going up and up, with practically no traffic. There were only a few trucks, some occasional motorbikes, and a gigantic SUV every once in a while. Like the road I took from Vietnam, this road went through small villages. The villages were just clusters of houses along the road, with no side streets. At first the houses were concrete. As I climbed higher the houses became wood and thatch. I did not see any Buddhist temples. These people probably belonged to one of Laos’ many ethnic minorities, but without a guide it’s impossible to know exactly which one. Homemade turbines in the river. I was making amazingly slow progress on the windy road. I couldn’t go fast on it. And the views were good, so I stopped a lot for pictures. I was worried I wouldn’t make it to my destination city of Phonsavan. 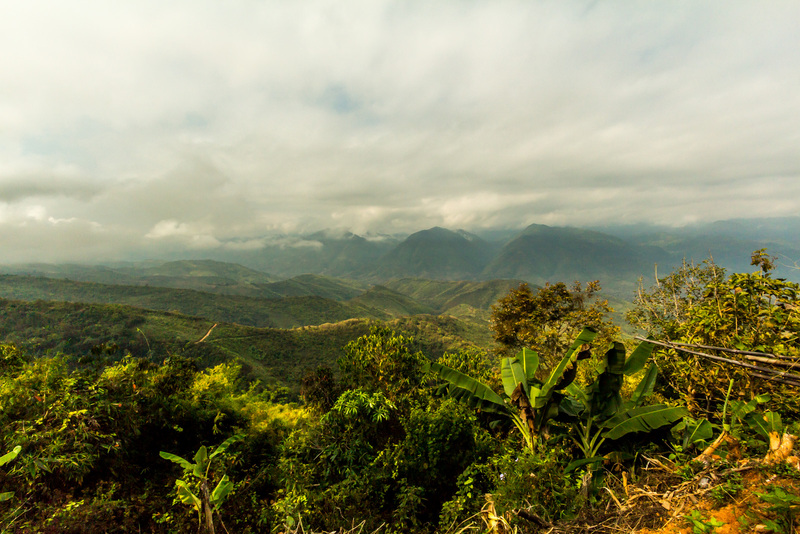 I figured I’d assess the situation and fill up my gas tank in the town of Phou Khoun, 100 km from Luang Prabang, and where the side road I would be taking to Phonsavan branched off of Route 13. There was not a lot of local traffic, but there were quite a few falong. I passed many groups of cyclists, and a big group on big motorcycles sped past me. Looking down on a big town. 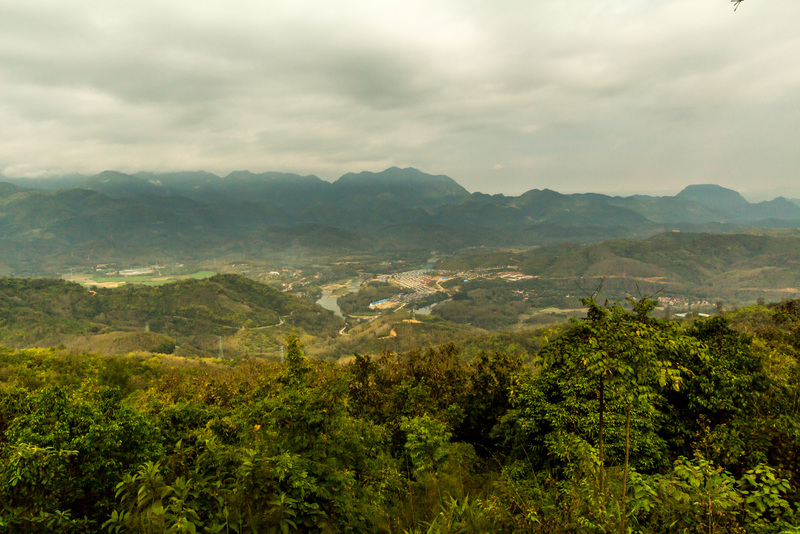 When I arrived in Phou Khoun I saw that it was just a tiny, grim town. There were a few basic guesthouses at the crossroads, and some basic restaurants. Some confused falang wandered around, since this was where the buses dropped them off. I couldn’t find a gas station on either the side road I would be taking, or the main road to Vientiane. 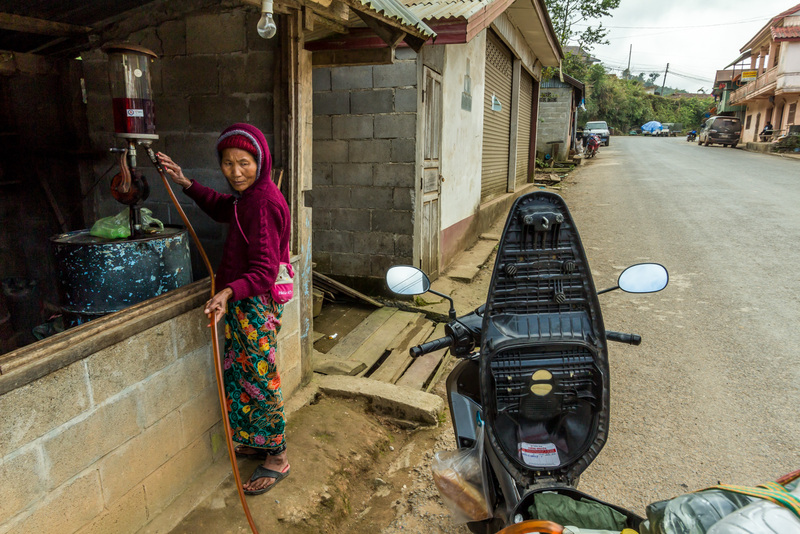 I eventually found an old lady with a hand pump, which ended up costing twice the price of a gas station. With a full tank I headed up the side road, Route 7, which kept going up and up the mountains. This road goes all the way to Vietnam. It also connects to the road I came from Vietnam on, 1C, so it’s possible to do a big loop. 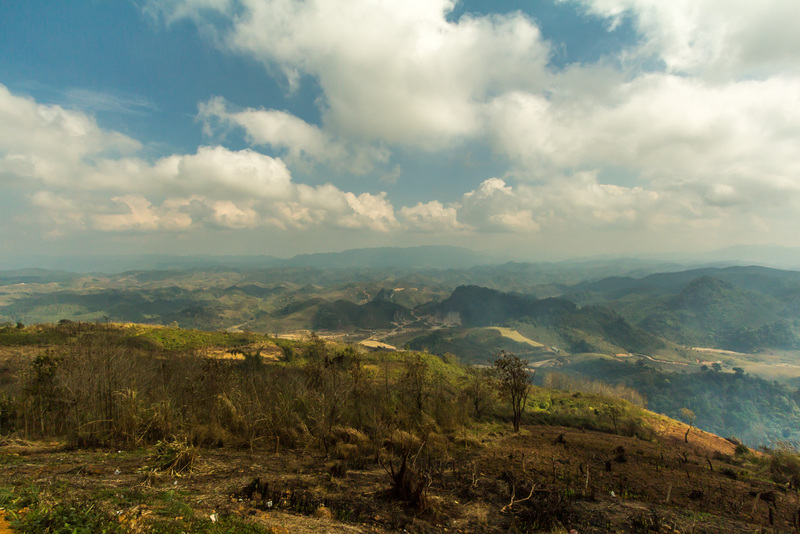 But I don’t want to ride 1C again, so would have to come back to Phou Khoun and return to Route 13. I kept going up the twisty turny road. There was no traffic at all. I went through more tiny villages. As I went up it got more and more remote. There were long stretches with no villages, and no civilization. There were no gas stations or old ladies with hand pumps. When I stopped there was no sound. I looked down into beautiful empty valleys, with no houses and no agriculture. I wondered what was on the other sides of the mountains across the valleys. Probably more untouched valleys. After going up a lot the ground finally flattened out. Instead of mountains there were now rolling hills. There were towns again, bigger and with some side roads. I was on the Xieng Khouang plateau. I finally arrived in the city of Phonsavan right before the sun went down. It is a surprisingly big town. I hate to be negative, but it’s pretty charmless place. It’s just a long strip of businesses spread out along the highway. It’s really spread out so you can’t get anywhere without your own wheels. The architecture, if you can call it that, is functional and not interesting. I rode to the main cluster of guesthouses, and there are quite a few falang wandering around looking confused. I looked at a few of the guesthouses, and they were all dumps. I rode a bit away from that area and found a nice new place for cheap. The buses must drop the backpackers at the old guesthouses, and they are forced to stay in them because it’s too far to walk to the nicer new ones. The old guesthouses have a guaranteed stream of income, so they have no incentive to do repairs and renovation. I’m glad I have my own wheels. I had the Lao take on pho for dinner, an important detail for tomorrow’s journal. Then I just went back to my nice room. There’s not a lot to do in this place. What’s on the other side of those mountains? 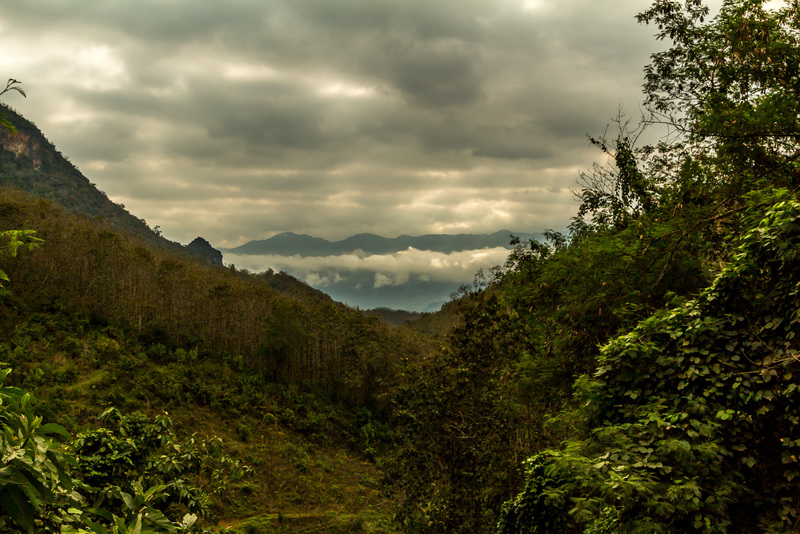 « Vietnam To Laos Day 14: The Best Waterfall Ever? I'm Terry, former cubicle-dweller, and now traveler, photographer, writer, and entrepreneur. 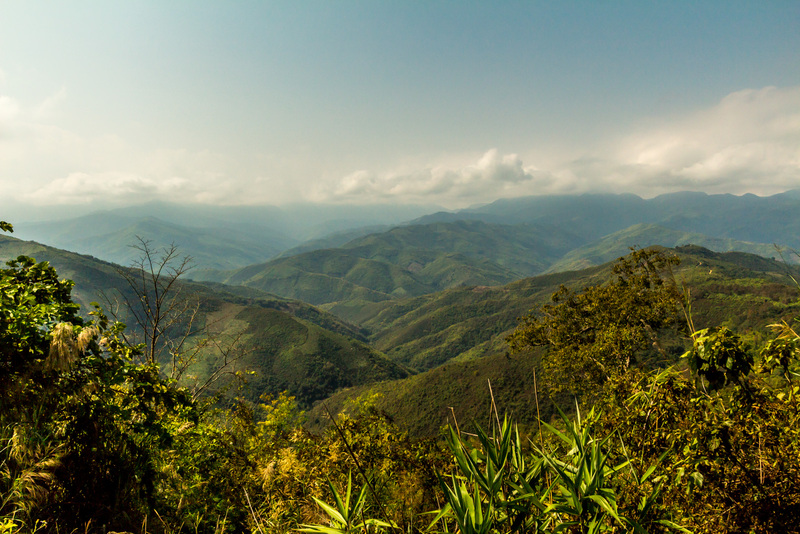 I quit my job in 2014 to travel to US national parks, then to South East Asia. I write about independent, flexible, long-term, budget travel. Sign up to my newsletter to get the latest news on what I'm up to. I hope you join me on my trek around the world. 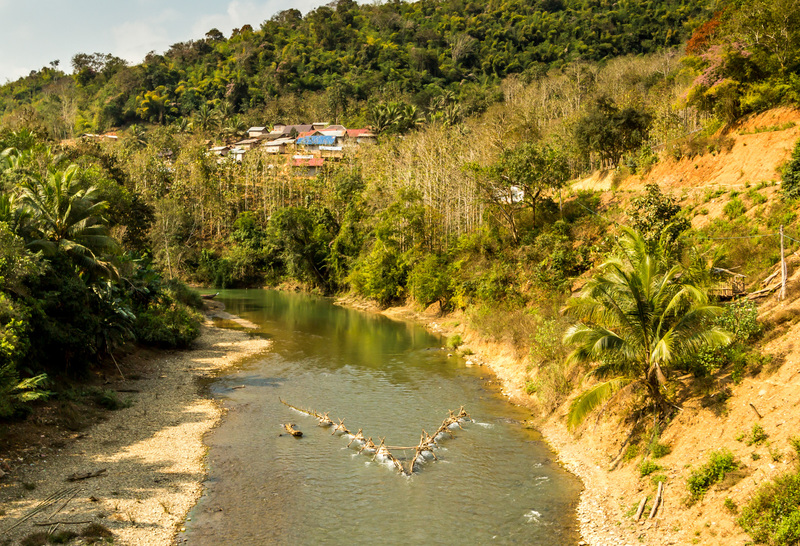 ← Vietnam To Laos Day 14: The Best Waterfall Ever? © 2019 TerryTreks. All rights reserved.